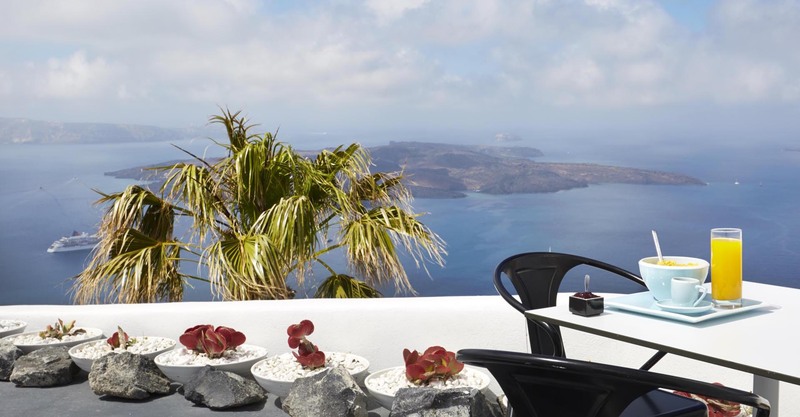 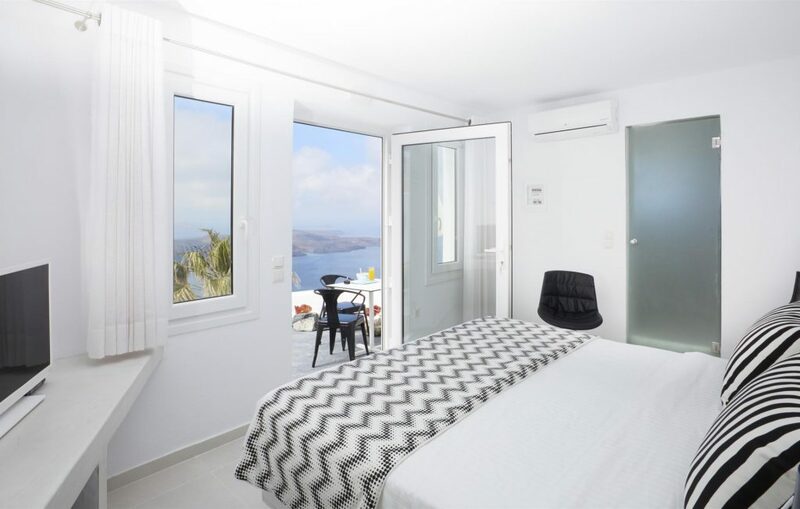 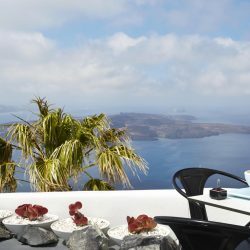 With an amazing sundeck, situated on the upper level, Heart is a double bed Suite offering uninterrupted views of the Caldera cliff side and sunset, all year round. 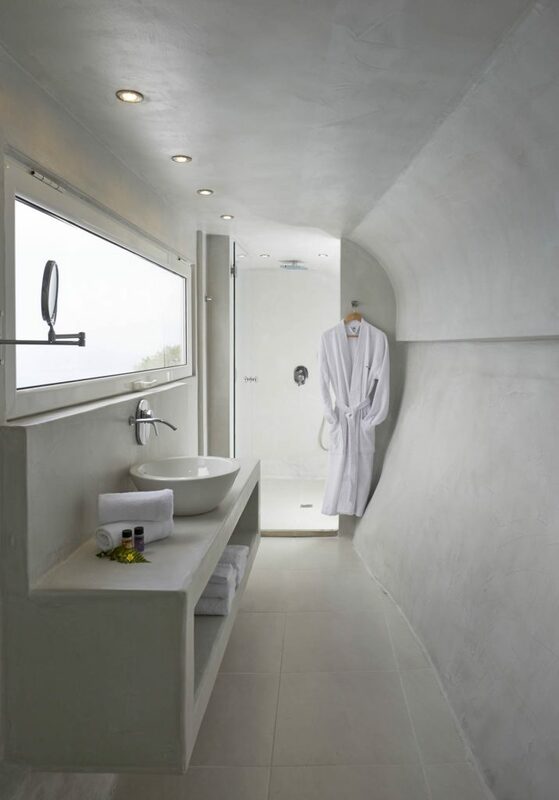 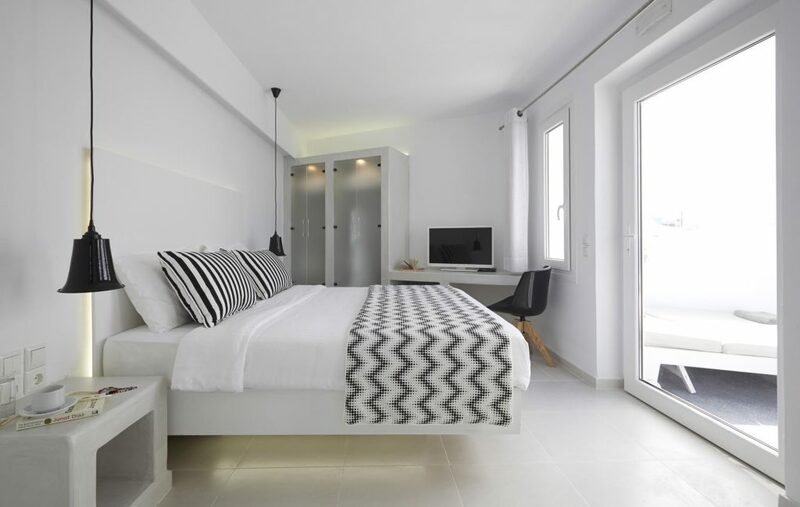 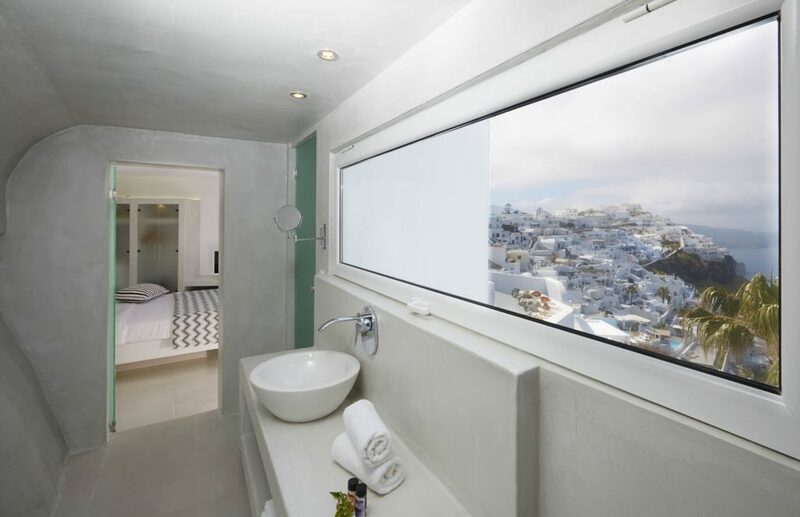 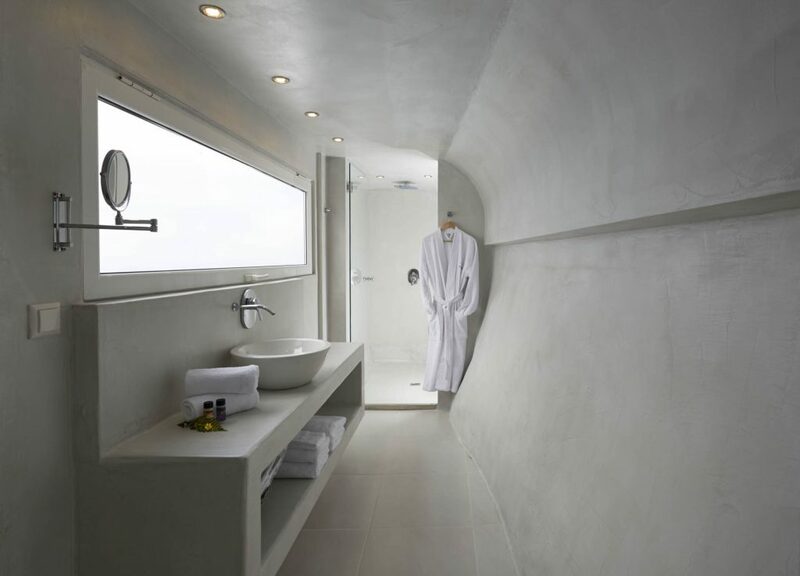 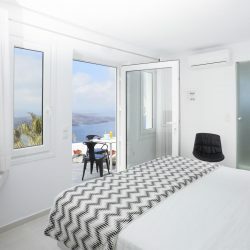 It consists of a unique style corridor bathroom with amazing view over the caldera and the Aegean Sea. 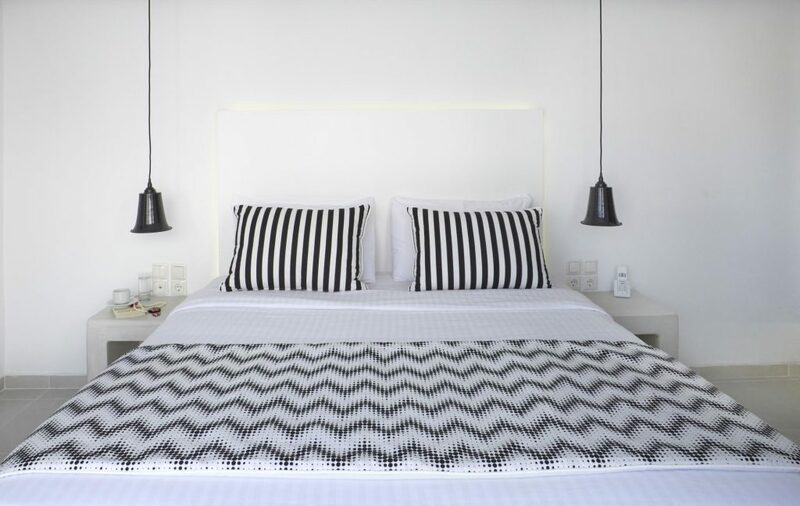 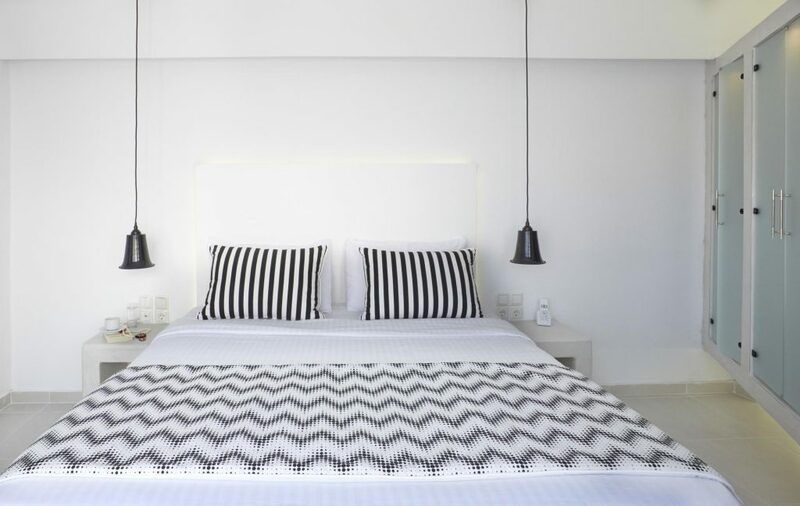 Lay at your bed and watch the sunset straight ahead or admire the moon reflection above the sea. 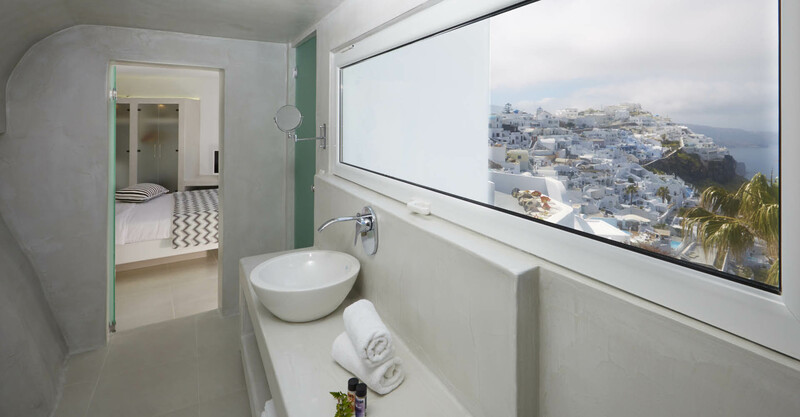 Upon arrival your luggage will be taken to your Suite and two glasses of sparkling wine will be offered to welcome you. 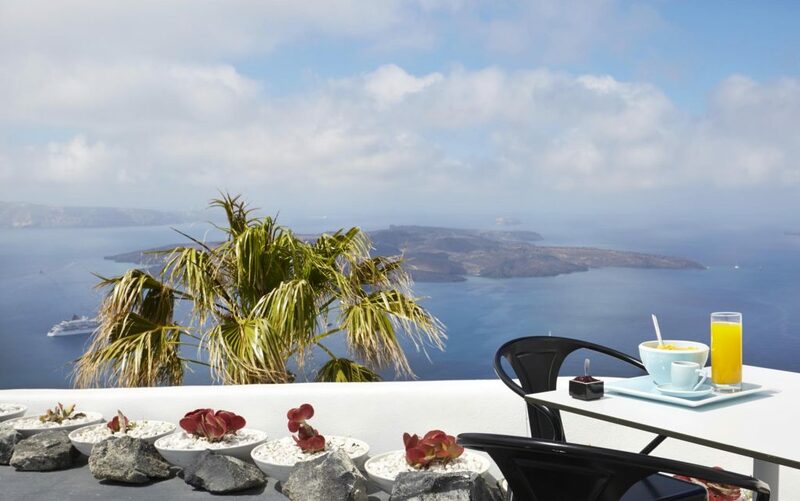 To further compliment your stay, American Champagne Breakfast will be served each morning at your own terrace overlooking the sea.